Hoarding isn’t something anyone is aware of until it’s too late. Hoarding sneaks up on you in the middle of the night wearing dark glasses and a false moustache and weasels its way in when you’re not looking. Don’t tackle the really painful stuff first, you’ll only discourage yourself. Work up to it. You’ll find you get tougher the longer you stick with it and, eventually, you’ll build up the emotional equivalent of abs of steel. Keep one item that reminds you of a particular time and place (your time machine) and get rid of the rest. Don’t throw out things in anger. ... Giving away a perfectly good bedside table won’t make your ex wake in the night in a vale of tears, it’ll just leave you with nowhere to put your alarm clock. Revisit it when you’ve calmed down. You’ll probably let go of it in the end anyway, but at least you will have done it rationally. I still have stuff that is useless of other people but means a lot to me. Most people do. Just throw out the duplicates, the stuff that is irrelevant and the stuff that make you feel miserable or guilty or angry. Throw out the stuff that doesn’t sing to you. Don’t let others bully you into tidying up their way. There are no rules. You can get rid of stuff in big chunks, do it one thing at a time, give it to charity, give it to friends, leave it on the footpath with a sign that says ‘free to good home.’ ... It doesn’t matter as long as the stuff goes and you feel like you've done it the right way. I don’t lose things now; I don’t need to buy a new pair of scissors every time I need to cut something. My bills get paid on time because I know where I keep them. I don’t have to leave the house to have dinner anymore. I actually enjoy being in my own home. I’m in control now, not the stuff. Update on Dec. 22, 2013: I was confusing this book with another one. This isn't one I borrowed; it was a gift from organizer Lissanne Oliver. Thanks, Lissanne! Still looking for holiday gifts? 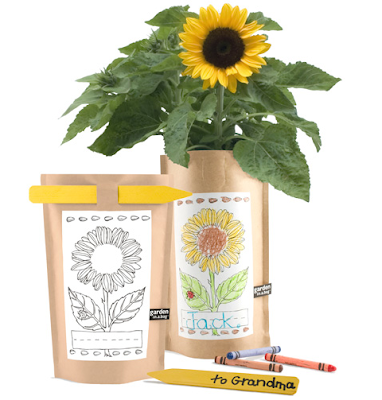 There are plenty of gifts that don’t result in clutter, beyond consumables. 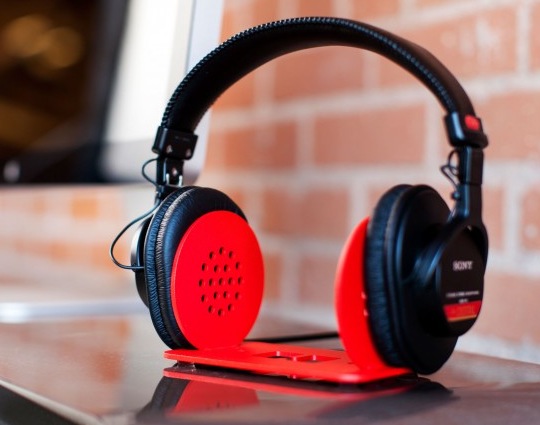 I wrote about “experience” gifts overs on Unclutterer, but here are some more gift ideas. 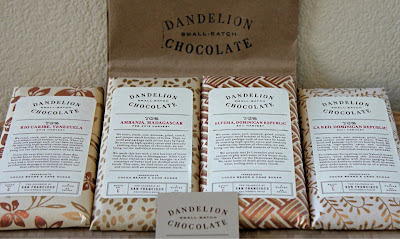 Sure, you could buy the chocolate bars shown above, from Dandelion Chocolate. But you could also give someone the gift of the Dandelion’s chocolate classes: Chocolate 101 (an all-around introduction to chocolate) or Chocolate 201, where you get to make your own small batch of chocolate. 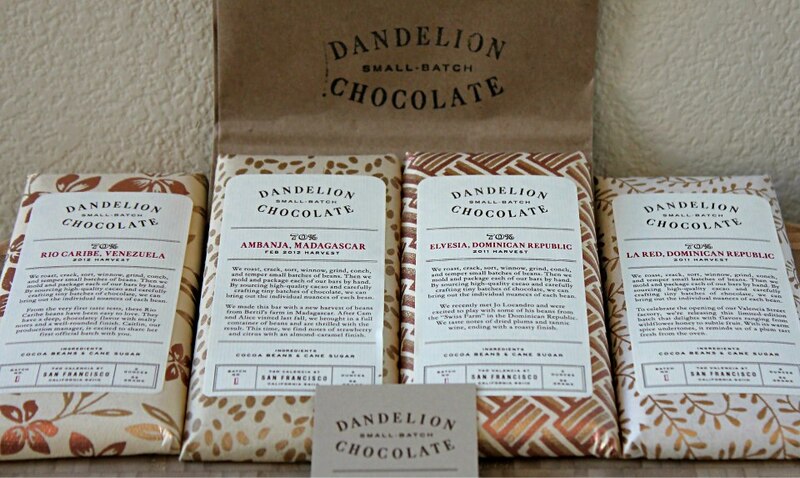 Dandelion Chocolate is in San Francisco, but those from other ares might be able to find something equally interesting being offered by shops in other locales. Know someone who’d appreciate some wardrobe help? Style for Hire has stylists around the country who can help, and it sells gift certificates. I'm sure other image consultants would be glad to help out with a gift certificate, too — such as this one from Style by Tiffani. The AP order form asks “Is this a gift order?” in the Contact/Shipping Information section. I’ve had a subscription for years, and I highly recommend it. 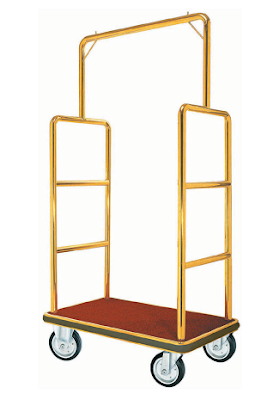 Many of us are fortunate enough to have as much stuff as we really need — but others are not as fortunate. If your area has a “secret Santa” program or an “adopt a family” program — or something similar for needy kids, seniors or families — consider participating in that program. For example, the Cambridge, Massachusetts Police Department has a Secret Santa for Seniors program which is accepting gifts through Dec. 20. Arlington County in Virginia has a Secret Santa program which accepts gift cards through Dec. 17. 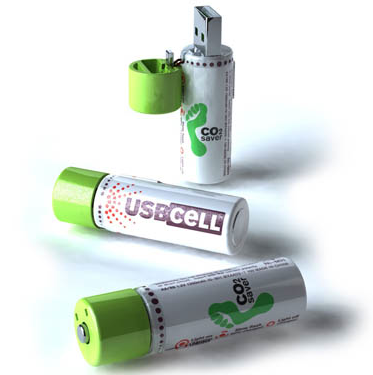 When looking for gifts that won’t become clutter for the receiver, consumables are always worth considering. They aren’t a panacea, and no one gift works for everyone — but they just might work for some folks on your list. I recently wrote about a number of consumable gifts over on Unclutterer, but here are some additional ideas — from stocking stuffers to more substantial gifts. 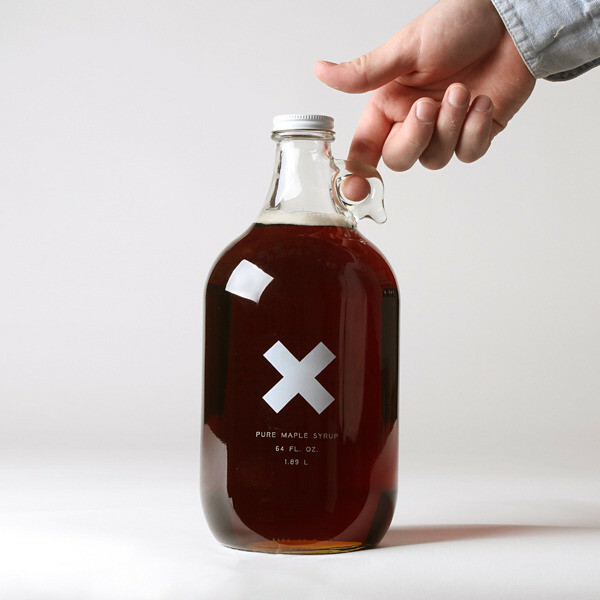 Good maple syrup seems festive to me, and Best Made sells a Big Jug of organic maple syrup, shown above. 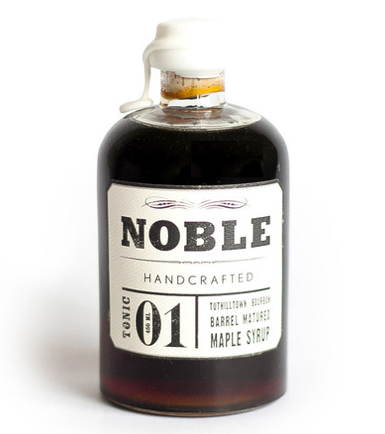 Another maple syrup option would be the Tonic 01: Tuthilltown Bourbon Barrel Matured Maple Syrup sold by Mikuni Wild Harvest. 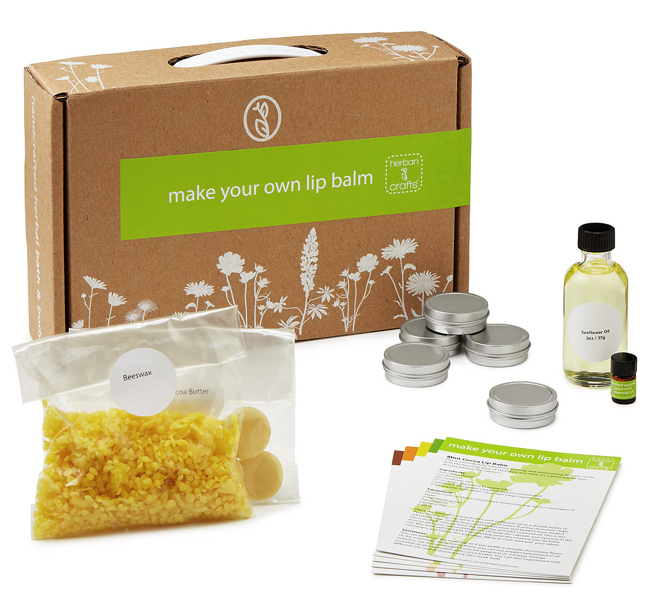 Another lip balm option is the "make your own lip balm" kit, sold by Uncommon Goods. Update time! Back in October I wrote about headphone stands. 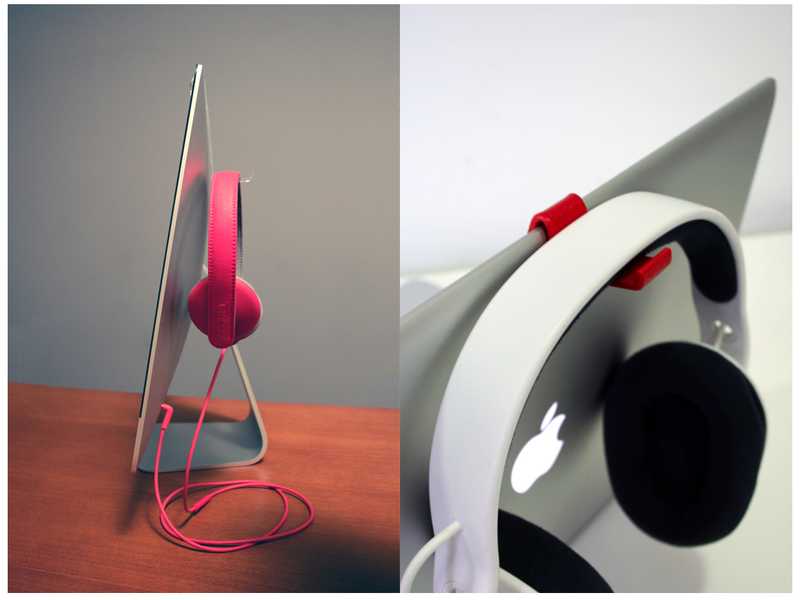 But now Heckler Design — whose products, such as OneLessDesk, I’ve always admired — has come out with a headphone stand. 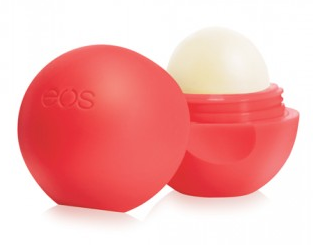 It comes in six colors and is only $29 — much less expensive than many other options. 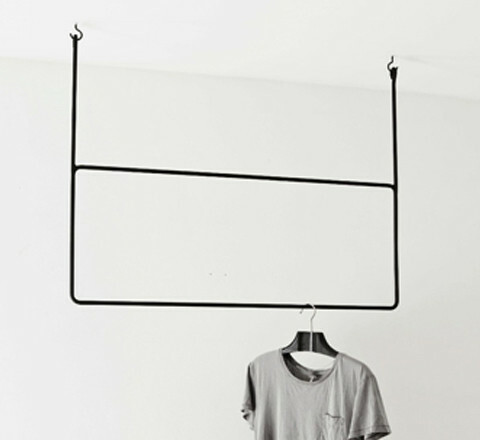 And it’s made from steel scraps from the production of other Heckler products. 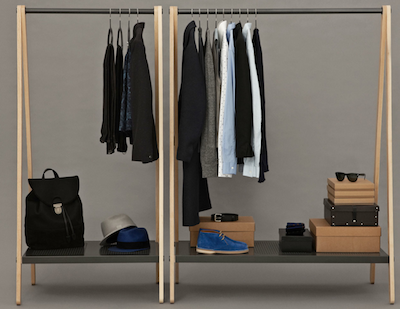 Not Enough Closet Space? Garment Racks to the Rescue! 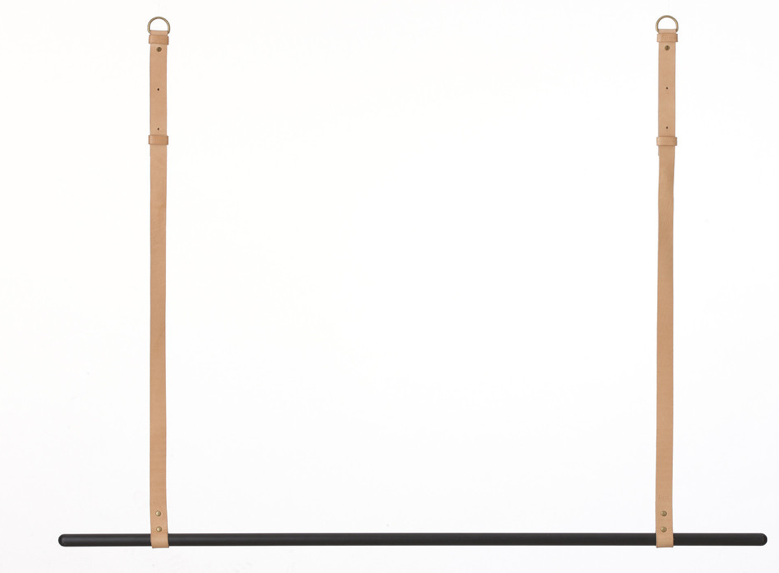 This one comes from Zilio A&C in Italy; it’s called the Tra-ra. 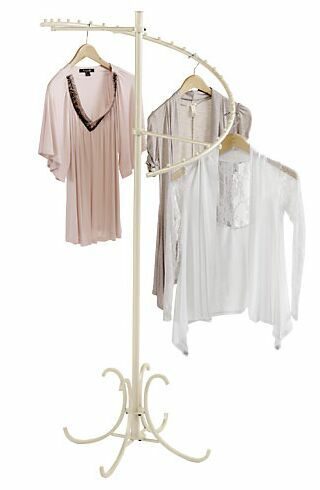 You can purchase it from Heal’s or Pure Deco, both in the U.K, although Heal’s is out of stock at the moment. You have four color choices. Added note, in response to an email comment: The lightbulb is not part of the rack; it was just placed there for the photo. 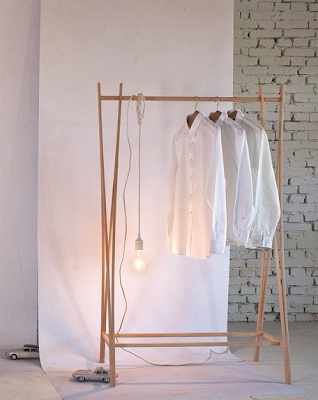 You would never want an unprotected bulb where it could come in contact with some clothes; that's a fire hazard! Want more choices of colors? 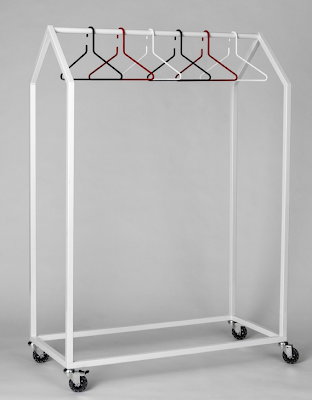 Caraselle has garment rails in yellow, red, pink, blue, chocolate brown, silver gray and white. 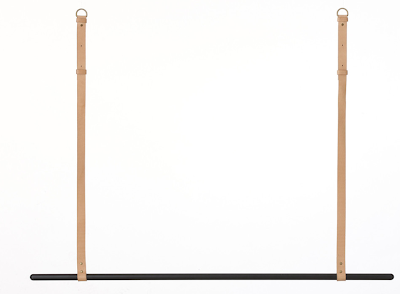 There are two sizes: 3 feet and 6 feet. 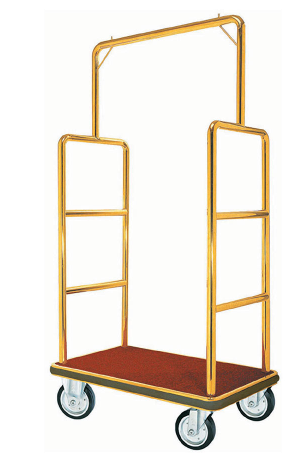 The company is based in the U.K., but delivers throughout the world. 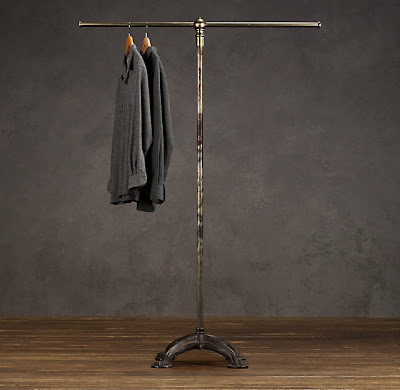 The Mercantile Clothes Rack from Restoration Hardware provides a unique look, too. 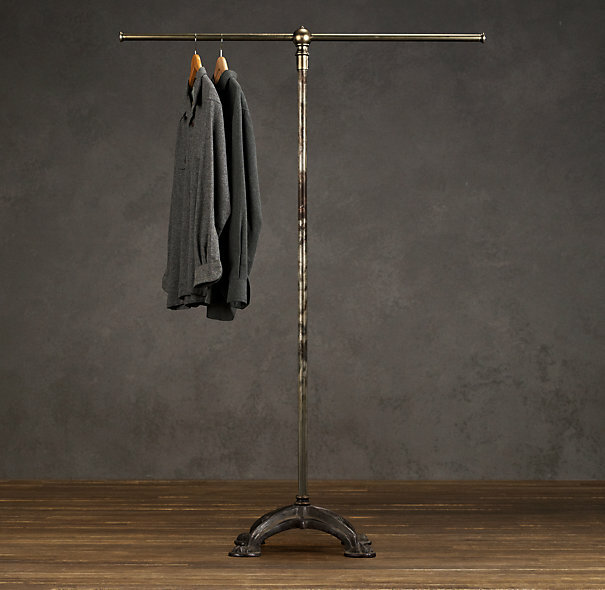 Sites selling store fixtures can have some interesting clothing racks, too. 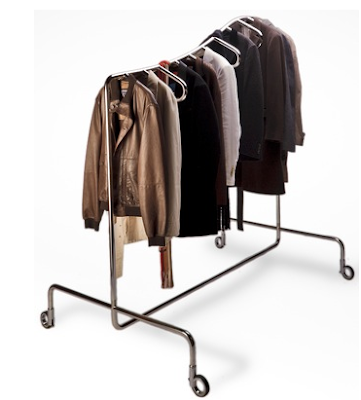 And you could use a luggage cart as a garment rack, too. 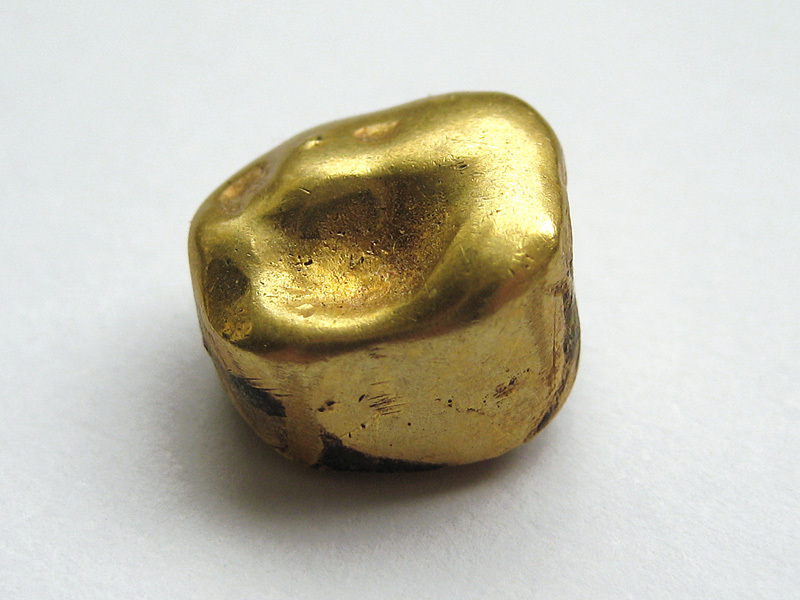 What Do You Do With Four Gold Teeth? You can inherit some strange things from your relatives — and someone I know (who gave me permission to share this story) inherited some gold teeth from beloved family members. These weren't the only things she inherited, but they were certainly the oddest. For 16 years, she kept them tucked away in a drawer. But then I told her about a local jewelry store that buys gold, and she decided to check it out. The store is closing soon — the jeweler is retiring after many years in the business — giving her an incentive to not procrastinate. So, with a bit of trepidation, she took the teeth (and some broken jewelry) to that jeweler — and he did indeed buy the teeth from her, for a nice amount of money! And now she has this pendant, which she bought with the proceeds of her sale — a much better way to honor her relatives' memory. I may never have become an organizer if it wasn’t for Angela Wallace. So I was heartbroken to hear this morning that she had died of “a sudden and tragic brain infection,” as her family explained. Angela was a force to be reckoned with within the world of organizing. 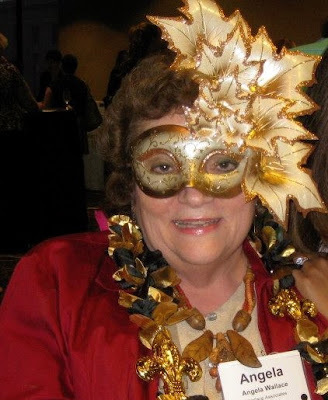 She was the immediate past president of the National Association of Professional Organizers, and was always very active in the San Francisco Bay Area chapter. And in another class, Angela helped me get over my stumbling block of picking a business name. “Your name, Professional Organizer” will work just fine to start, she told me. I could always change it to something else later, when I had a better idea of the type of organizing I wanted to do, she said. And here it is, over nine years later, and my business name is still Jeri Dansky, Professional Organizer. Q: How do you feel about the Container Store, or any store that sells organizing supplies? A: I think it’s given more options for solutions. And yet the average person buying stuff in there is just going to become more cluttered. I never take anything with me to a job. They already have enough boxes. My biggest tool is my brain. 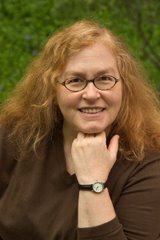 Angela, we will miss both your brain and your heart, so very much. Photo courtesy of organizer Julie Bestry, taken at the NAPO 2013 conference in New Orleans. Update later on Nov. 13: Here's one more photo of Angela, courtesy of Rhonda Elliott, and also taken in New Orleans, at her presidential reception. It's a photo that Angela really liked; she had asked Rhonda for a copy. My dad is coming out to California to visit me and my brother, Michael, at Thanksgiving. He lives in Florida, and is often cold when he comes out here. I was talking to him just today about the upcoming trip. “Bring some of those nice sweaters Michael’s given you,” I said. And that seemed to remind him of something he’d meant to say. Let’s stop exchanging gifts, he said. 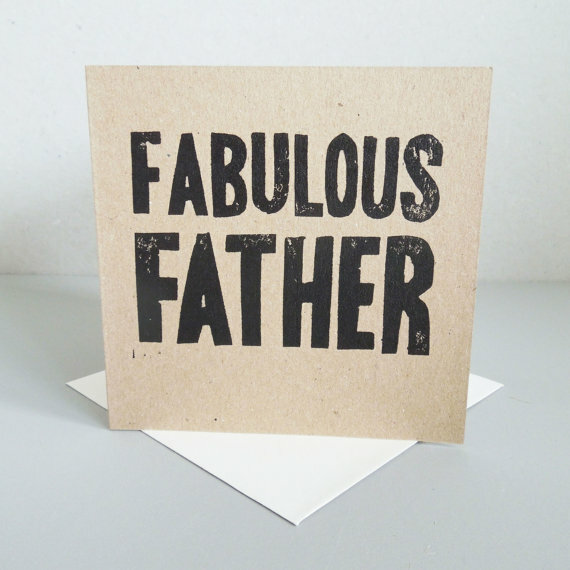 He said he still wanted to recognize special days, but thought a nice card was plenty. And I immediately agreed. Dad’s not in an acquiring mode — and the few things he decides he does want, like an iPad Mini, he goes and buys for himself. (Dad has become quite a fan of Facetime.) 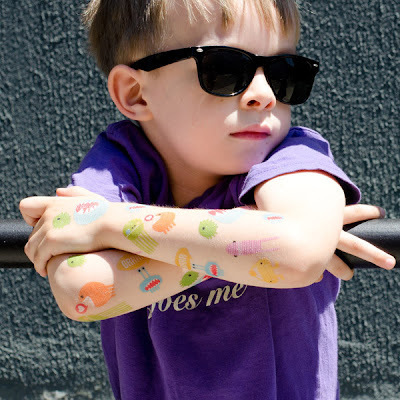 And I'm not in much of an acquiring mode, either — and like Dad, I buy the things I need. 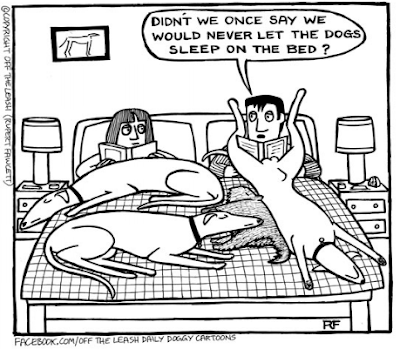 This follows a pattern I’ve established with most of my friends. If something screams “Karen!” or “Helen!” or another friend’s name to me, I get it — and there’s a decent chance I’ve made a good guess. And I might do that at any time of year. None of us feels any pressure to get one another gifts just because it’s Christmas or a birthday. And I know my dad and I are not the only ones who are moving in this gift-skipping direction. 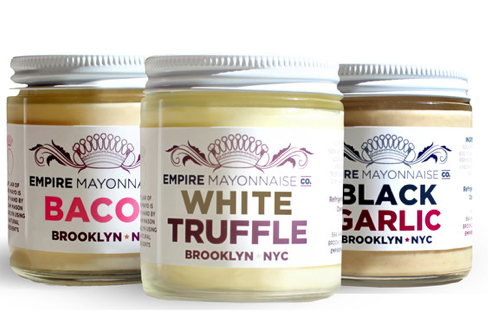 I tell you, holiday gift buying is optional. It is possible to have a happy family gathering without breaking the bank. You can have a blessed season without shattering your peace of mind. You can make it the season of giving without it being the season of shopping. Each year now as I enter my holiday vacation time, it’s clear that the biggest gift my family has given each other is freedom from obligation. The real gift and the real focus is being together. We have traded presents for presence. My grandmother is 107. She doesn’t want anything. My desire to give her a gift is really just because I want to have a tangible way of saying, “I love you and I thought about you.” So, I call her instead. I write her letters instead. I do not crowd her tiny house with things she doesn’t need or want. If you really like giving gifts, and the people you give them to like receiving them, then by all means go ahead. I have plenty of non-clutter gifts to suggest. But if you'd like to focus your holiday energy on something other than gift-giving, that’s OK, too. Make the choices that work for you and your loved ones. Me? 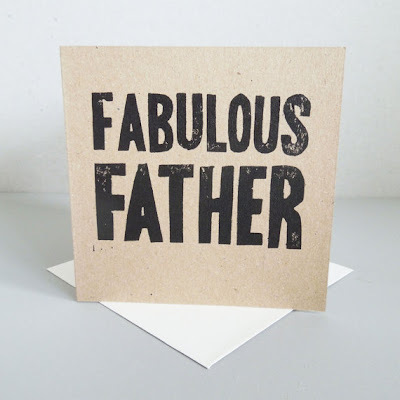 I’m off to find the perfect birthday card for my dad’s December birthday. Maybe even two. As an animal lover, I’m always attracted to wonderful calendars featuring cats and dogs. 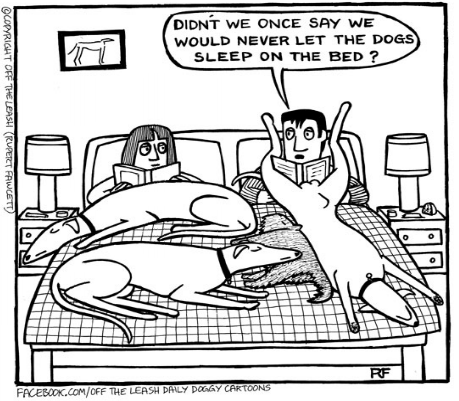 One of my new favorites comes from Rupert Fawcett. 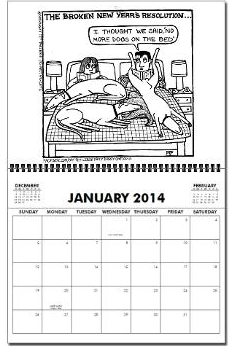 Fawcett does a delightful series of cartoons, called Off the Leash, and he’s gathered some of them into a calendar. He’s graciously allowed me to share an image with you. 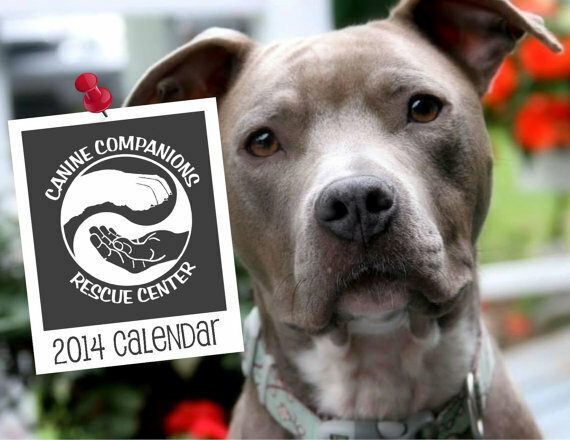 And another way to have a lovely calendar and help dogs in need is to get your calendar from the Canine Companions Rescue Center. Orders must be received by Nov. 28. 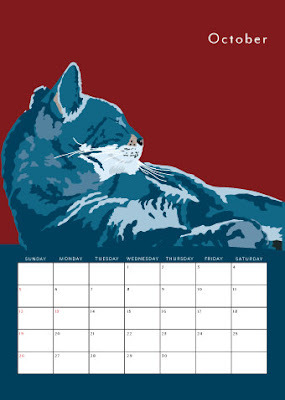 You can also get them through Rachael Brown Art of Etsy; the same deadline applies. Prefer some cats? 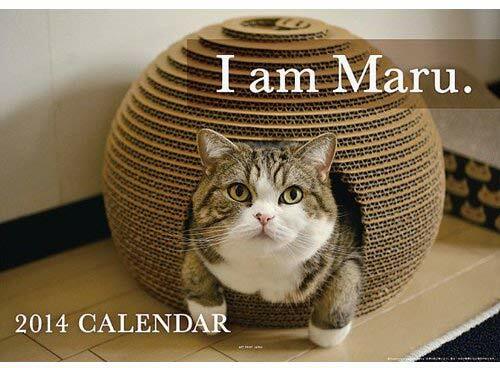 You can get a calendar, imported from Japan, with the famous cat Maru. If you’d prefer drawings to photographs, you could get the cat calendar from Animals in Color, which also has a dog calendar and a bird calendar. 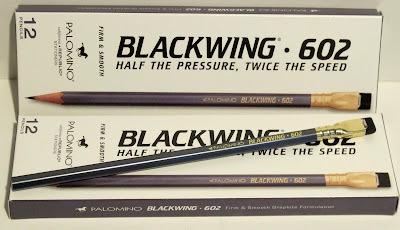 These are limited editions, which often sell out. They're the work of Sebastiano Ranchetti from Florence, Italy — and readily available via Etsy. 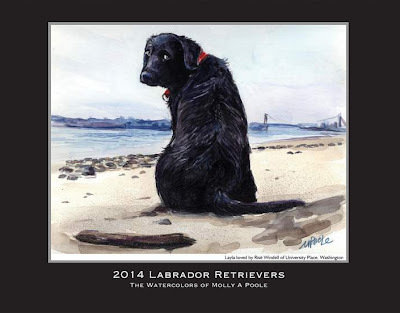 Finally, here’s one more calendar that raises money for a good cause — in this case, for Hull Seaside Animal Rescue. Now that we’re past Halloween, let’s talk about something really, no-joking-around scary: distracted driving. Trying to do two things that require concentration or visual attention — driving and texting, for example — is never a good time management choice. Alexander Heit, a University of Northern Colorado student from Boulder, passed away earlier this month from injuries he sustained after losing control of his car and flipping over while driving through Greeley. Heit’s parents released a photo of his last text; go take a look. The driver who killed Jake was so distracted by his cell phone that when he hit the Owen’s car at 62 mph, he had never applied his brakes. You can read more on the Jake’s Law website, which I found via Jennifer Mendelsohn. And for more stories, watch the incredible documentary from Werner Herzog called From One Second To The Next. It’s 35 minutes long, and it’s very much worth it. In Europe, this percentage ranged from 21% in the United Kingdom to 59% in Portugal. In 2011, 3,331 people were killed in crashes involving a distracted driver. ... An additional, 387,000 people were injured in motor vehicle crashes involving a distracted driver in 2011. Driver response time was terrible regardless of whether the driver was manually texting or using Siri. Texting drivers of any sort took twice as long to react to roadway hazards than when they were off the phone. Texting drivers spent a lot of time not looking at the road, regardless of whether they were using a voice-to-text app. 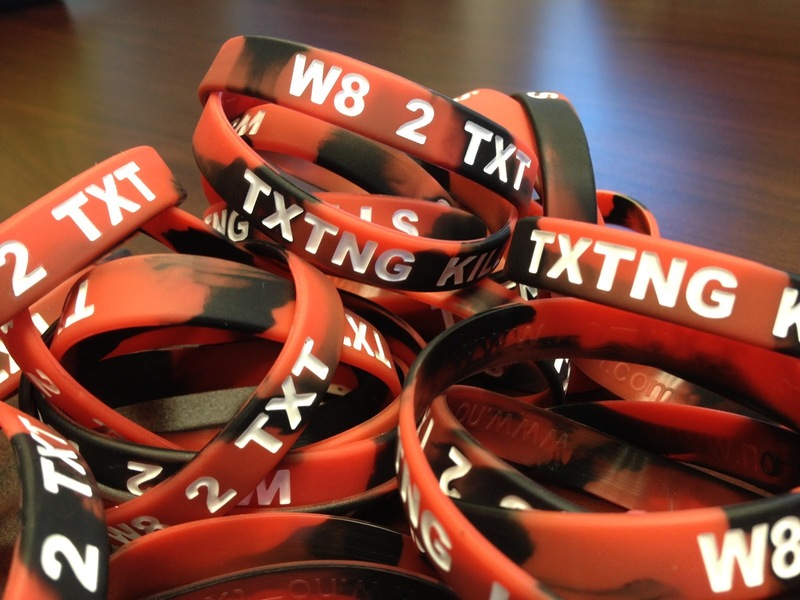 In the U.S., the laws about texting while driving vary from state to state. Alaska has the strongest penalties; texting and driving can cost you $10,000 and a year in prison. If someone is injured, the penalties are much more severe. Focus while you’re driving. Pay attention while you’re driving. Don’t take your eyes off the road while you’re driving. Things can happen so quick, that’ll change your life forever. Of course, once I ask myself those questions, the whole thing seems ridiculously dumb. Of course there’s no message that can’t wait. Do not ride in a car with a distracted driver. You are risking your life. 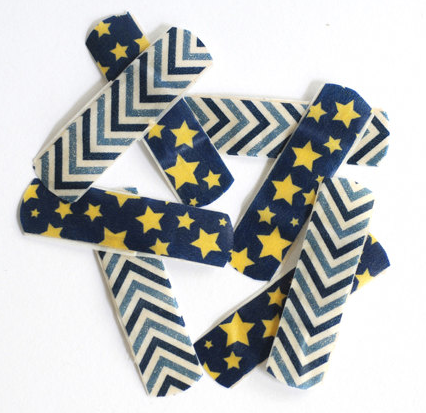 Want a wristband like the one shown above? 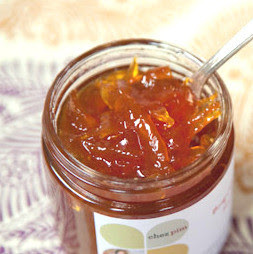 You can get it, and other products, at this online store. As much as I agree with Donna in most cases, under certain circumstances offsite storage may make sense. Sometimes you really do need storage for a short period of time: during a remodel, for example, or when a home is being staged for sale. And people in cities with small apartments sometimes find that renting a storage unit makes more sense than paying for a larger apartment to store infrequently-used items they don't want to part with. Someone on the Apartment Therapy website mentioned storing baby gear in between kids; she did the calculations on using storage vs. buying replacements, and storage came out significantly cheaper. I have ski equipment, camping gear, a kayak, and some car maintenance stuff that’s currently stored in the basement. This is all stuff that, while not used on a weekly (or even monthly basis) gets used regularly enough that it doesn’t make sense to rent or borrow it. In short, it isn’t clutter, but it also needs to be stored somewhere other than in my living space. While I’ve never done this before, I am considering the possibility of renting storage space for these large, seasonal things. 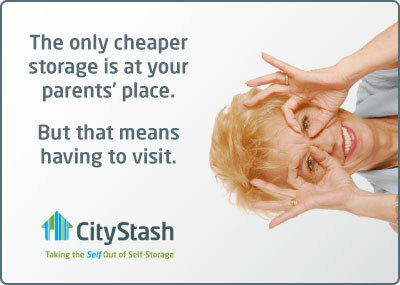 Renting a storage space would add a rental cost, but it also changes how I’d go about finding an apartment. Previously, storage space has factored in to my apartment choice — if a place didn’t have enough storage space, it was automatically off the list. Using self-storage could allow me to rent a significantly cheaper apartment — if the savings significantly exceed the added storage cost, this seems like a win to me. 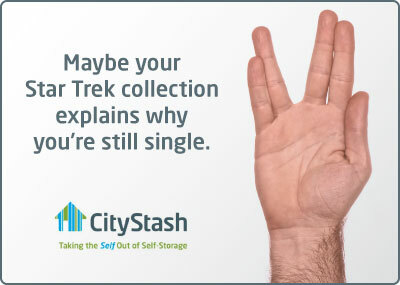 If you determine that offsite storage really does makes sense for your particular situation, here's an alternative to renting a storage unit: CityStash Storage. CityStash delivers plastic storage boxes to you, which you pack; the company then comes and picks up the boxes and larger items such as furniture, and takes them to its warehouse. You can retrieve anything you've got stored for a flat delivery fee. CityStash has a three-month minimum, and is currently only in San Francisco and Washington D.C. I met Gregory, the owner of CityStash, at the recent conference of the National Association of Professional Organizers — San Francisco Bay Area Chapter. He was kind enough to send me copies of some of the company's ads, which I thought were hilarious. Yes, some of us like visiting our parents, but these ads still made me giggle. And a side note: This is my blog anniversary; I've now been blogging for seven years! Thank you, readers, for your support. 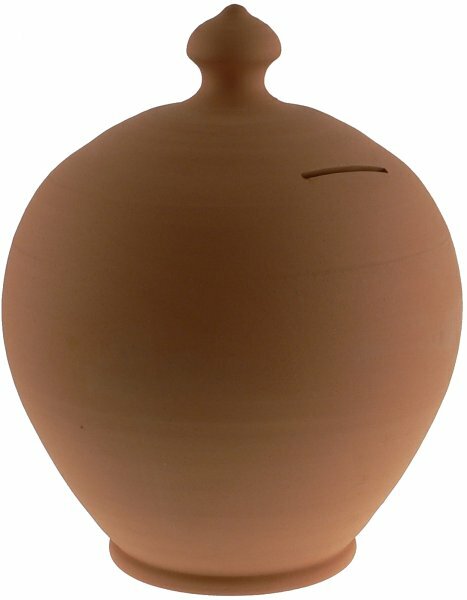 I first wrote about Terramundi money pots back in 2007, but reading Ruth’s wonderful story of her own eight pots made me look at them again. One nice change since 2007: I can now find stores in the U.S. selling these. The North Carolina Museum of Art and Catching Fireflies both have a small selection; The Cameleer has a large selection, but you must wait 2-3 weeks for delivery. 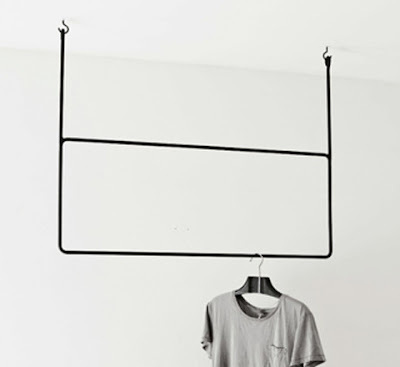 Update on April 17, 2019: The North Carolina Museum of Art no longer has these in its online shop. And I discovered you can get the undecorated terra cotta pots — although it’s a bit difficult if you aren’t in Italy. 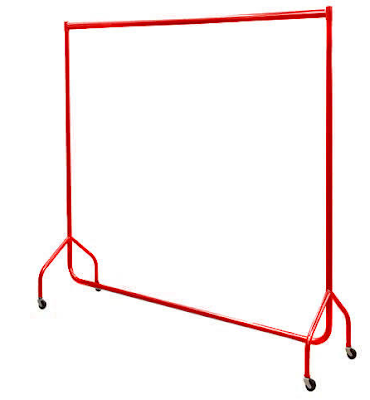 You can also buy something similar from Portugal. 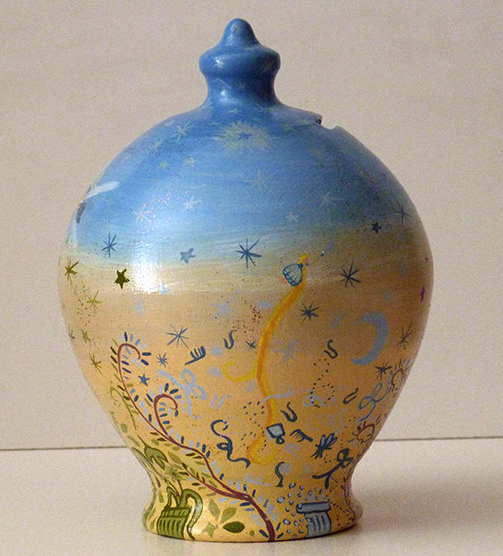 Finally, I discovered this gorgeous version from Macchietta.handmade in Rimini, Italy — available via Etsy. Update on April 17, 2019: I'm no longer finding this product. But what if you don’t want a pot you must break to get your money out? 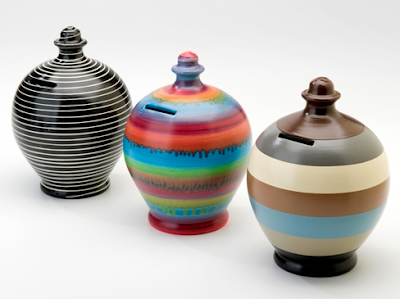 Well, you could get a lovely piggy bank from Michèle Hastings Pottery. She has a variety of colors and patterns, but my favorite is this copper and turquoise combination. 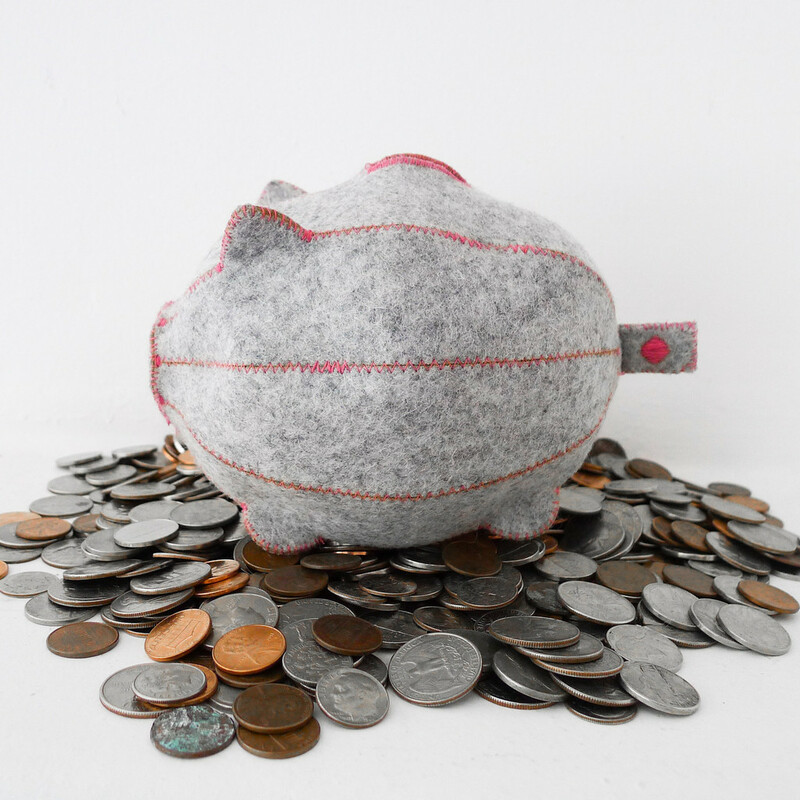 With this handmade piggy bank, the pig’s rear end gets removed to provide easy access to your coins. 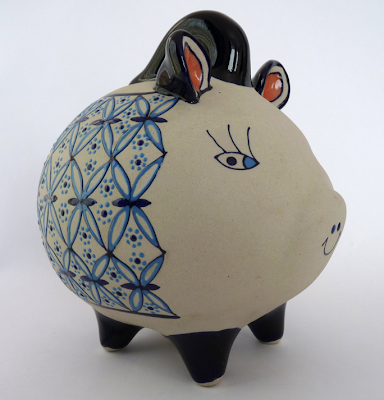 This lovely piggy bank was made in Mexico by Eva Servin; there’s a cork stopper in the base. I don’t usually show vintage pieces, but I just couldn’t resist this one. 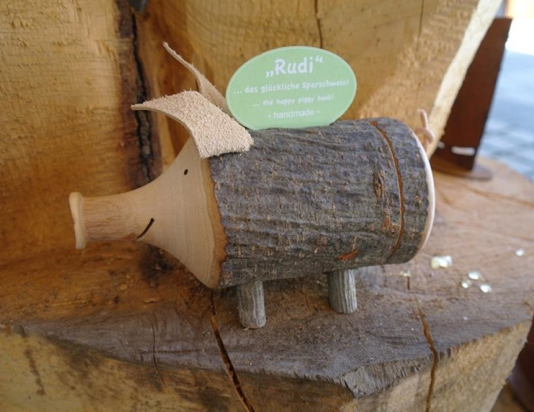 Update on April 17, 2019: The site that had this piggy bank has disappeared. And finally, for something very different, here’s Feed Your Dream felt piggy bank from Baum-Kuchen! 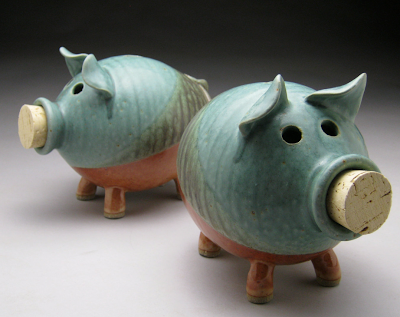 There’s a “brass zipper on the bottom of the pig’s belly” to remove the coins. [via Better Living Through Design] Update on April 17, 2019: I'm no longer finding this bank on the web.